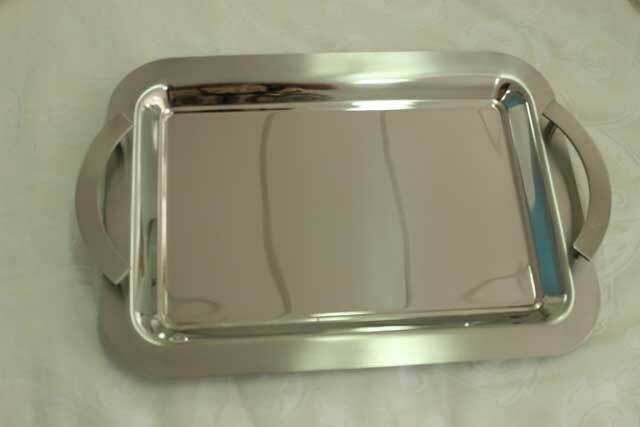 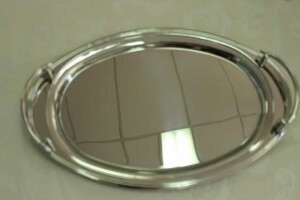 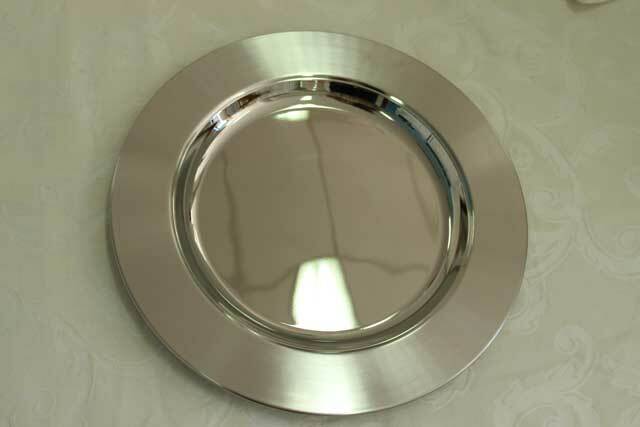 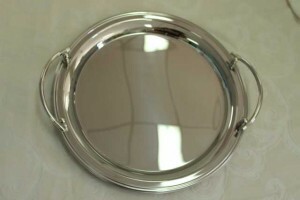 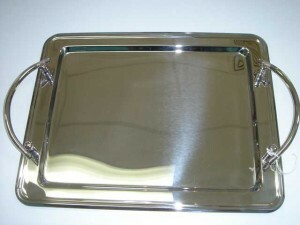 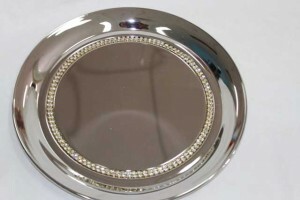 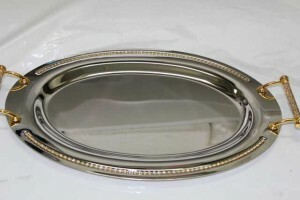 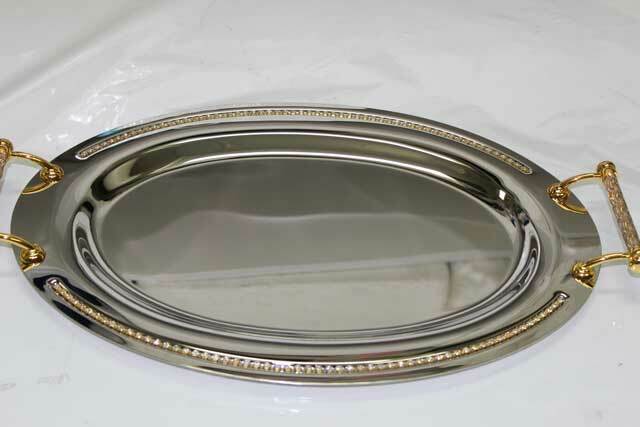 Silver or Stainless Steel trays are typically used to carry the Stefana to the Church in readiness for the Wedding Ceremony. 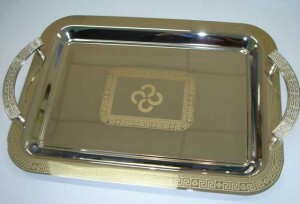 Traditionally the tray is decorated with rise representing togetherness and with sugared almonds for long life. The Perfect Occasion has a variety of trays and they would be more than happy to dress it up for you complimentary with your choice of Stefana ready for the Church Ceremony. In the Gallery below you will be able to view some of these trays. Visit our store to view our complete selection.